I only recently became aware of The Dublin InQuirer and have become facinated by it. It started as a website and then, to fend off financial instablity, began offering a monthly print newspaper on a subscription and (limited) retail basis. New figures on the performance on newspaper websites in the Irish market show that the Irish Independent group's sites are the most popular with readers. 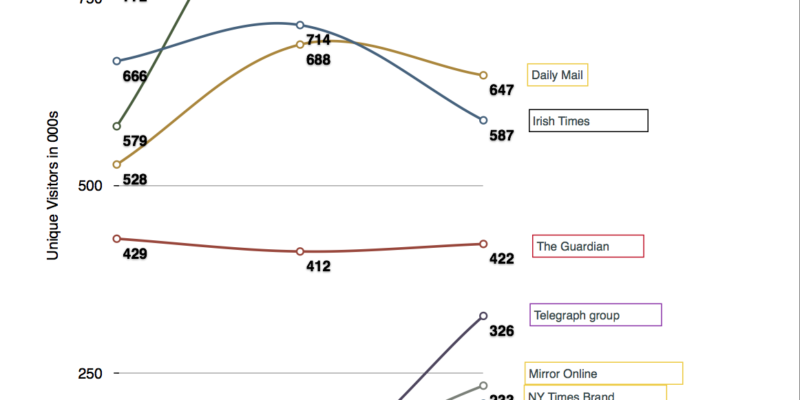 The figures also suggest that the newly redesigned Irish Times website has not been embraced by readers, recording a 18% year on year fall against a background of an increasing total available audience. 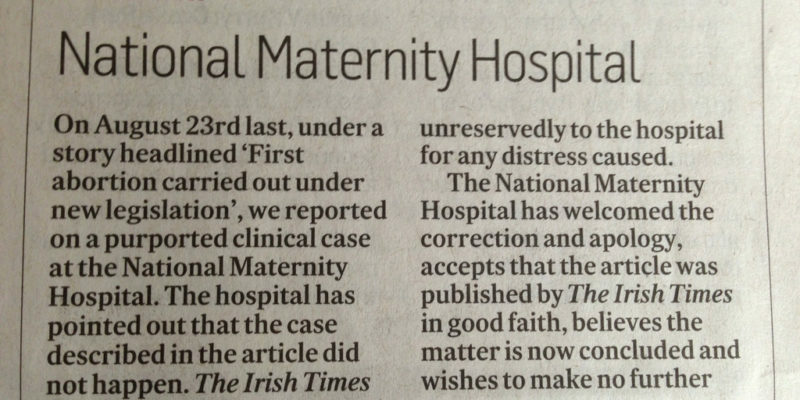 The Irish Times, terminations and Holles Street: The story that wasn’t there. On the 23rd August 2013, the Irish Times broke a story on Page One. It described a medical crisis in a woman's pregnancy which resulted in the termination of that pregnancy to save her life. It gave a lot more detail than I have given here. Another day, another step closer to the coming age of the newspaper paywall in Ireland. Here's PriceWaterhouseCoopers making self assured statements on the impending digital bonanza. As the money they can charge for ads (and the number of ads) sags the Irish newspapers have become addicted to talking about, and preparing for, the crock of gold that charging their readers seems to represent. *Notes from a beach. *News media want things to be new. They feel inhibited from reporting things unless they have a 'news hook', whether or not the information would be of value. Yesterday, Feargal Keane reported on RTE Radio 1's Drivetime that the Lisbon Refendum Commission were spending large amounts of money on advertising on Facebook and Bebo. Keane described the journalistic reaction to this at the press conference as one of guffawing and barely controlled mirth, which sounds about right. This is why young people in Ireland don't buy newspapers. (This article recaps and expands on my discussion on Newstalk's The Right Hook)Newspapers around the world are shrinking. In fact, with a few niche exceptions like the Economist, all print media are having troubles. The culprit, as usual, is the internet. Inspired by the Chipwrapper website, I've built a custom Google search engine which searchs though the websites of all the Irish news sources I can find online. Episode one of an occasional series of Paper Round Podcasts. If you subscribe to the full tuppenceworth. ie podcast feed in iTunes or your podcatching program of choice, you also get a bonus set of essays on artworks in the National Gallery. I've been asked this Saturday to come on to Taste, Newstalk's 'what's on this weekend' programme to talk about the early editions of the Sunday Papers. 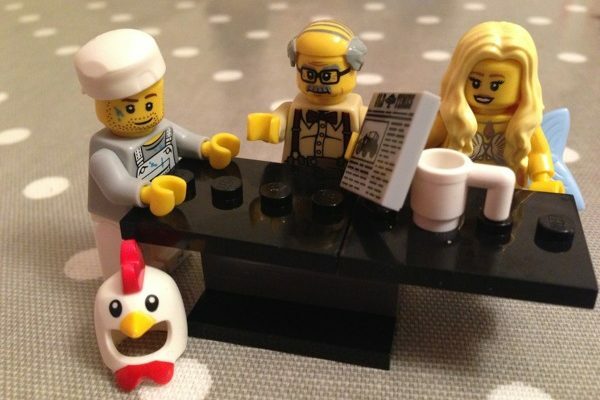 We'll only have the front pages, and it might all be legitimate high quality journalism but if you'd like to hear some Paper Round style reader's opinions tune in at 8. 45pm, Saturday evening.